Shaker kitchen design is characterised by clean simple lines. A mix of timber and painted surfaces makes it warm and homely and well-suited to an open plan living style. We combine traditional materials with modern colour palettes to produce the light, airy look which typifies the Shaker style. Whatever your living space requires we take care of every stage from the original concept design to the installation and finishing, including all the appliances to match your lifestyle. And we encourage you to visit our workshop so you can see your specially designed kitchen being carefully crafted by our Furniture & Design team. 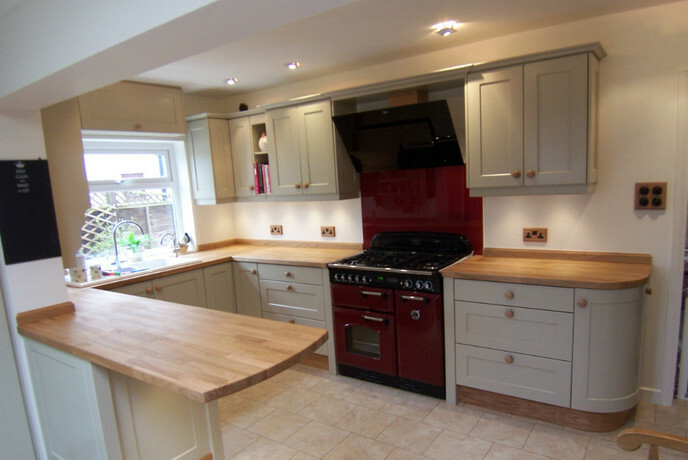 If you would like to know more about your stylish Shaker handmade kitchen furniture please call us on 01865 370222 or 07779 272811, or alternatively click here to complete our short contact form.